I'm trying to find out the value on my Washburn. I paid $300 for it and I love the way it sounds so I'm comfortable with the purchase no matter what. That said, it would be nice to know whether or not I did well from a 'value' perspective. It's black, has a 2 double coil set up, has a locking trem, and grovers. I'd drop in some pics, but I don't see any place to do that. The serial number is 2100712. Any help would be appreciated. Generally, factory-installed Grover tuners are a good sign!! It points to guiars that are at least at the "serious amateur" level. They're like 1996-2008; the least-expensive guitar with Grovers may have been the BT-2, last retail $340. While the licensed Rose trems vary widely in quality, they also indicate good-or-better guitars. However, most Washburns (particularly electrics) are undervalued. Like, the BT-2 is a great guitar, & can readily be found for under $150, often half that. Do you have a "collectible"? Unlikely. Is it "worth" more than you paid? Probably not. Will you make a profit if you sell it? Highly doubtful. All in all, you probably didn't get ripped off, you probably didn't make a killing. If you have a guitar that plays well AND suits you, then for that alone $300 is not bad. As for the serial number. Plenty of people will repeat the myth that "the first two digits indicate the year!!" Clearly nonsense, placing yours at either 1921 or 2021. I have two Washburns (definitely 1996-1999) with such numbers. The "two digit" thing seems to have become standard ~2000; before then, some '90s numbers used the first digit. So, at a poor guess, yours MIGHT be 1992. Possible series: Mercury or maybe Chicago (KC). Thanks a ton for the info. I recently realized that the model number is right above the plate with Serial Number. It reads SS10=B. I googled for that model number but didn't find anything. Do you know any specifics about this particular model number? I wanna value this guitar, but i don't know from where to start. To post photos, take a look at the information in the first "sticky" on the General Discussion board. It's all about posting photos, which suddenly got much more difficult when Photobucket decided to discontinue their free service offerings. There are no import N4 guitars. If it has a Stephen's neck, it might be an N24. How well does it play? What amp have you paired it with? I have a new Washburn... USA MG100 Pro Swamp ash translucent blue, 1994, two seymour duncan ssl5 and Jazz... fantastic maple neck. The model number on my Washburn is actually SS40-B. The import Steve Stevens signature model, 1992-1996, in black, retail $800. These have been holding value very well, & in Very Good condition can get $400+. Yes indeed. 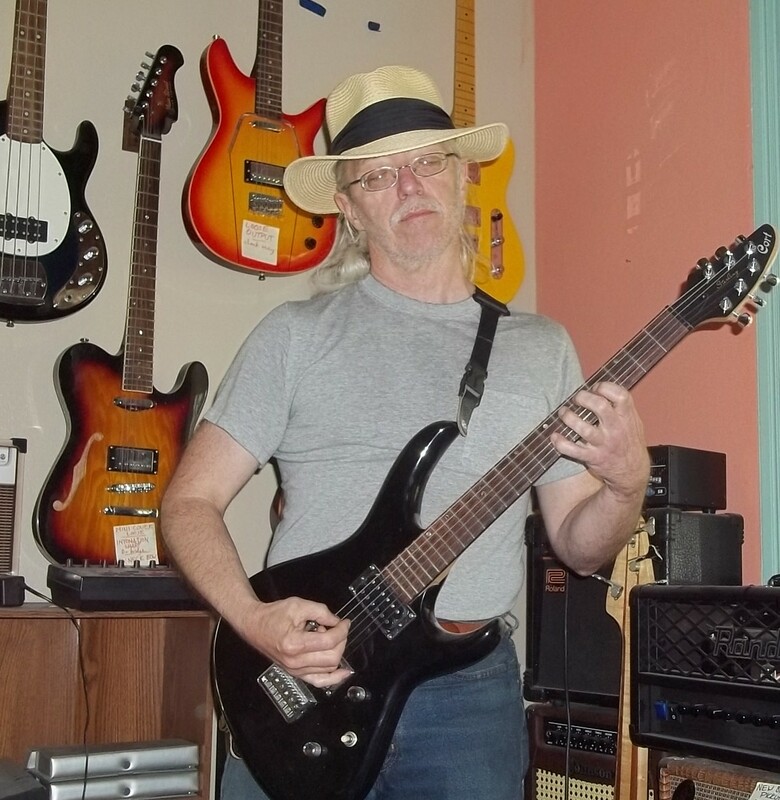 I saw one of those black headstock Scott Steven's SS40-B guitars on eBay for like $650. Mine does not have the black headstock. It has the natural wood grain finish. What's the difference, other than the appearance. Does the 'SS' in the model name refer to "Scott Stevens" regardless? Steve Stevens was guitarist for Billy Idol back in the '80s, & they've done some reunions since. So far as I can tell, the SS-40 was only issued with a black-painted headstock face. Does yours have a "Washburn" decal over natural wood?